A PERFECT HOME FOR A WEEKEND AT THE BEACH! 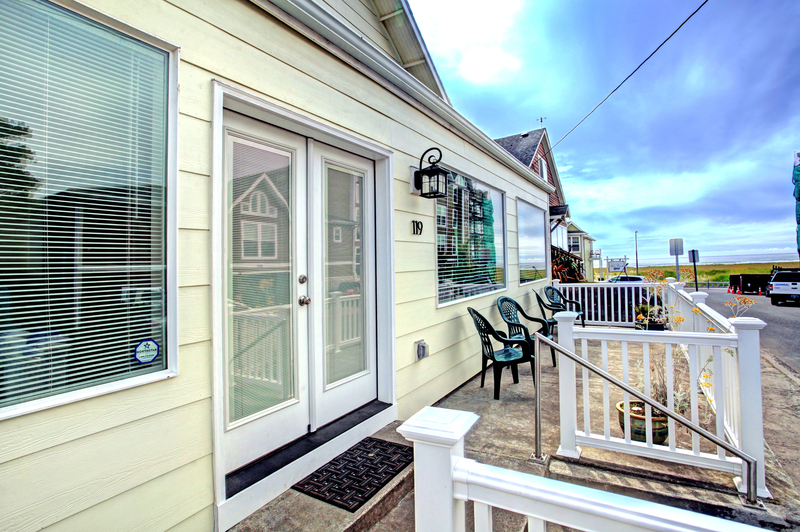 "A wonderful beach home in which to enjoy the ideal beach getaway! 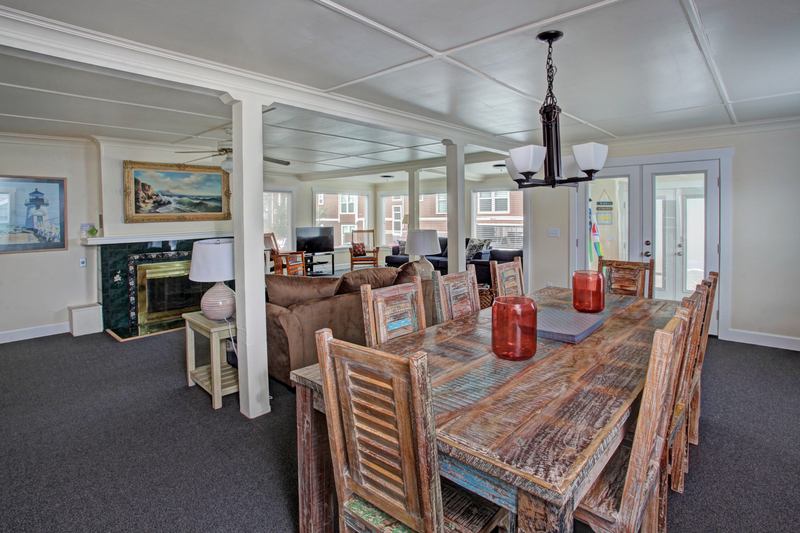 This larger, tastefully decorated comfortable beach home is perfect for either small or large groups. Fully equipped with every imaginable need: games, kites, large selection of DVD's, up-scale pots, pans, utensils, serving pieces & appliances. The extra-large bathrooms were perfect for our needs and we also enjoyed evenings in front of the inviting gas fireplace! Nice, quiet neighborhood and only steps from the Seaside Prom. And, rather than driving during our stay, we chose to take several short 5 minute walks to the Seaside Turnaround, where we enjoyed eating Pizza at Harbor Pizza! " A PERFECT LOCATION & WILL BE BACK! "A wonderful home that is tastefully decorated, which is located steps away from the Seaside Prom. We walked every day into town (5 minutes) to enjoy ourselves. Located in a quiet neighborhood. Fully equipped kitchen offering more than my kitchen at home. Our evenings were spent sitting in front of the welcoming fireplace enjoying popcorn...and, yes, they have a popcorn popper! Also enjoyed watching wonderful Ocean Views and Sunsets in the comfort of the living room...through HUGE living room windows! The perfect 2-day beach getaway." "So me and my family just got home from a amazing vacation at the sand dollar house in was absolutely perfect ,big enough for a whole party of 10.We never felt like we were stepping on each others toes. One of my favorite things about the house was the big rubber duckies in the bathroom that made my day they were so cute .The location was absolutely perfect very quiet little area.The house had everything we needed I just couldn't have asked for a better vacation I want to thank the owner for sharing this beautiful place with us hope that we can make this a ritual and that we could come back every year to the sanddollar house. What amazing a trip with beautiful memories me and my family made I look forward to coming back again...thank you Christal from Aurora Co."
"Hello Christal, Thank you for your review. We are so happy to hear that you and your family loved your stay at Sand Dollar! We hope that you'll be able to come visit us again in the near future!" "Hello Alicia, Thank you for your review. We are glad to hear that you enjoyed your stay at Sand Dollar! We are looking into getting new knives and pans for this unit. Thank you for bringing it to our attention. We hope to see you again soon in the near future! Thank you again for your review." "Hello Cheryle, Thank you for your review. We are glad to see that you loved your stay at Sand Dollar! We hope to have you back again soon on the Oregon coast for another wonderful vacation!" "This wonderful house was perfect for taking in the Beach Volleyball Tournament. It was close enough to walk to the event, but also far enough away to not be bothered by the crowds and noise when you wanted." Beautiful and clean, easy ocean access! 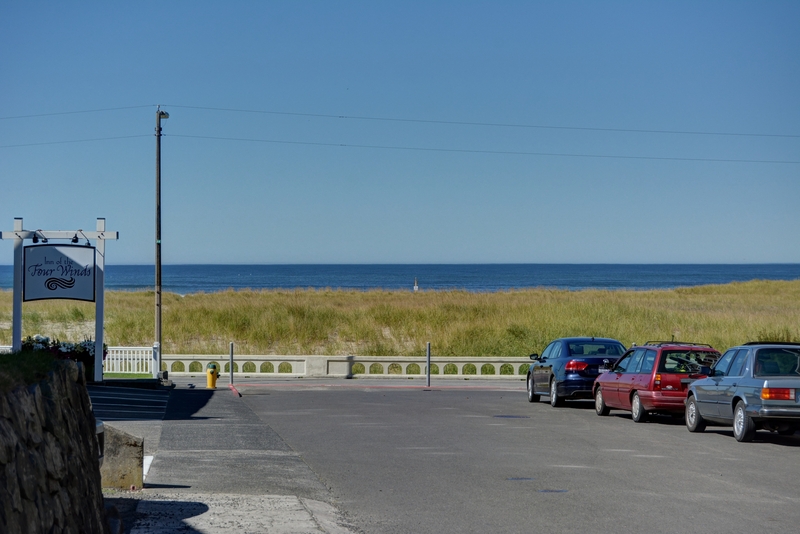 "8 of us (all adults) stayed at the Sand Dollar for 5 nights, and it never felt too crowded. It was spacious enough to accommodate all of us. After driving for 8 hours (we took the long route), it was great to arrive at this house. It was clean, smelled nice and everything we needed was in order. Check in and out was simple and easy, and was relayed to us through email a few days prior to our arrival. Beach access was extremely easy, and is just 2 houses down from the promenade. We walked on the beach every day. This house is also very close to shopping, coffee and restaurants. We did not drive frequently, but instead chose to walk everywhere because it was close enough to do so. Seaside was a perfect tourist community for us, the beach is gorgeous in this area (lots of sand!) and the house was perfect for us. The only issue we had was that we had to go back home at the end of the week. We would have liked to stay longer! " "This house is great for a family. Well furnished kitchen and comfortable furniture throughout. The only downside is parking with a very narrow driveway, but we will happily stay there again." "Hello Nancy, Thank you for your review. We are happy to hear that you enjoyed your stay at Sand Dollar in Seaside! As for the parking area, unfortunately the parking is so limited because of the abundance of homes located in this area. We hope that this didn't take away from your overall stay, and we look forward to seeing you again soon on the Oregon coast. Thank you again for your review!" "Hello Susanne, Thank you for your review. We are so happy to hear that you and your guests had a wonderful visit at Sand Dollar! It sounds like this location in Seaside was perfect for all of your needs. We hope to have you all stay with us again in the future! We are happy that the home and our office staff were so accommodating on your Oregon beach trip. Thank you again for your review." "Overall a beautiful location and property but needs to be cleaned a bit more. We were welcome by a beautiful home interior and slapped on the face with strong dog odors. I ended up making a trip to the nearby Safeway to buy carpet odor eliminator, vacuumed, and opened all the downstair windows to get rid of it.This home has literally everything you need, including a bed and dishes for your dog. It was definitely an experience being able to spend time with the family, while enjoying a breath taking view. The upstairs bedroom has a window from which you can see the ocean...which is amazing to wake up to in the morning. You will not be bored while you stay here, and can assure you napping next to the fireplace after a long walk was one of the most remarkable things for me while my stay. I did have trouble opening the house, however. If you end up making a reservation don't forget to ask for the code to retrieve the key! There are two doors on the main entrance. You'll need the key for the first one (for which you need a code to open the lockbox to retrieve it) and a code to open the second one. I only got e-mailed the code to the main door and spent an hour trying to reach someone on the phone to get the code for the actual lockbox. Very secure just a bit of a headache when they only give you half of the information. " "Hello Erika, Thank you for your review. We are glad to hear that you enjoyed your stay at Sand Dollar. We are sorry to hear that you arrived to a home that smelled like dog though. We would have happily had a housekeeper help you take care of this problem. Please keep in mind that our office staff is on call 24/7 to help with any issues you may experience during your stay. As for the lockbox issue, we are only seeing one code for the lockbox. We are sorry that you experienced trouble with getting in, but we are glad that someone was able to help you in the end. We hope to see you again soon on the Oregon coast. Thank you again for your review." "We loved being so close to the prom and beach. We added the cottage for the numbert of people we had, which was perfect. The owner called the night before we checked out to make sure all had gone well, which was great. You can tell he is pleased to share his home with others that love the beach, and takes pride in how they have finished and remodeled the home to be comfortable and inviting. We will come here again!" "Loved the house and location. The only things that we were not happy with was the bed in the room with the gray furniture was painfully uncomfortable. The ceiling fan an bathroom vents needed wiped off and upstairs bathroom door needs a new lock so kids can’t barge in on you. Also, parked in the driveway to unload some heavy and within about two minutes the neighbor was complaining. You have to give a little time for people to unload their car. There were several of us standing there that could have moved right away if they needed us to. Other than those few things, it was great and clean." "So we just got back from a week-long vacation at the Sand Dollar House on seaside beach it was absolutely amazing I wanted to bring my family to see how beautiful this place is upon arrival to the vacation home it was even more beautiful than the pictures even show the house was absolutely amazing plenty of rooms for our whole party of 10 I felt like not once were we on top of each other there was plenty of space for everybody it was exactly two houses from the beach which is very convenient when you open up your window and one of the bedrooms you can see the beach and listen to the waves at night the kitchen was absolutely perfect had everything we needed one thing I love is the fireplace made it cozy and the kitchen had everything we absolutely needed one of my favorite things in the whole house was the rubber duckies in the bathroom made my whole day I would recommend this house to anybody who's looking for A Little Piece of Heaven on the seaside Shore it's absolutely beautiful I hope to bring my family back again and make this a ritual thank you so much to the owner of the house for sharing this amazing beautiful house with us we absolutely loved it made amazing memories can't wait to come back again thank you"
"Hello Margah, Thank you for your review. We are happy to hear that you enjoyed your time at Sand Dollar! We look forward to seeing you back again soon on the Oregon coast." My new favorite vacation home! "This home was more than i can ask for! Such a beautiful home, and very spacious! My girls trip was definitely a success! We enjoyed it immensely!" "Hello Run, Thank you for your review. We are pleased to see that you enjoyed your stay at Sand Dollar. We hope to have you and your friends back again soon for another great vacation trip to the Oregon coast." New Years at the Sanddallor. "Very nice! We had five adults, two teenagers, three kids and two dogs, lots of room for everyone. There is limited driveway space, my son's suburban did not fit in the driveway." "Hello Mary Sue, Thank you for your review. We are glad to hear that you and your family enjoyed your stay at Sand Dollar. As for the parking, we are sorry to hear this. The parking arrangements are tight when it comes to bigger cars. We hope you were able to find street parking during your stay. We hope to see you again soon on the Oregon coast, and thank you again for your review." "Hello Melodie, Thank you for your review. We are glad to hear that you and your co-workers were able to enjoy your time at Sand Dollar! We hope to see you back again soon on the Oregon coast! Thank you again for your review." "Hello Renee, Thank you for your review. We are so happy to hear that you loved your stay at Sand Dollar! We look forward to hosting you again on another trip to the Oregon coast!" Perfect vacation getaway for our large family! "My mom and I arranged for a family getaway to the Sand Dollar house with my sister and her husband, their six kids, their son-in-law and 2-year-old grandson all sharing the home. Everyone was a little worried about all 12 of us sharing a home together that we had not seen in person but it was so incredibly spacious and fit all of us so comfortably! We all enjoyed the very large living room/dining room area. One of the best parts was the huge dining room table for 10, which allowed us to share our meals together and also provided a great space for the adults to stay up late playing Cards Against Humanity after the youngsters were in bed. The kitchen had all cookware anyone could possibly need during their stay. The home was clean and the bathrooms were large. The location was perfect, being able to watch the sunset over the ocean from the front patio area of the home, and the walk to the beach was quick, with the promenade and pathways to the beach being just two homes away. We were so lucky to find this gem and will definitely be back! The only thing that was in any way negative was the fact that the home advertised a foosball table when there was none and the two 10-year-olds were disappointed by that as we had told them there was going to be one based on the amenities the home listed. The parking was very tight but we all managed and it definitely won't deter us from renting this wonderful home again. Again, a beautiful spacious home for a large family to enjoy with everything they could possibly need, just one home away from the beach on a very quiet street. Amazing!!!" "It was magical. We had a wonderful time and long overdue reunion with family. Sand Dollar was so comfortable. We also rented the adjacent cottage which was surprisingly huge. We would love to come back again and again. So close to the beach and to town. We walked everyday. So clean and pleasant. THANK YOU!" "Hello Morgan, Thank you for your review. We are very happy to hear that you and your family loved your stay at the Sand Dollar and the Sand Dollar Cottage for your family reunion! 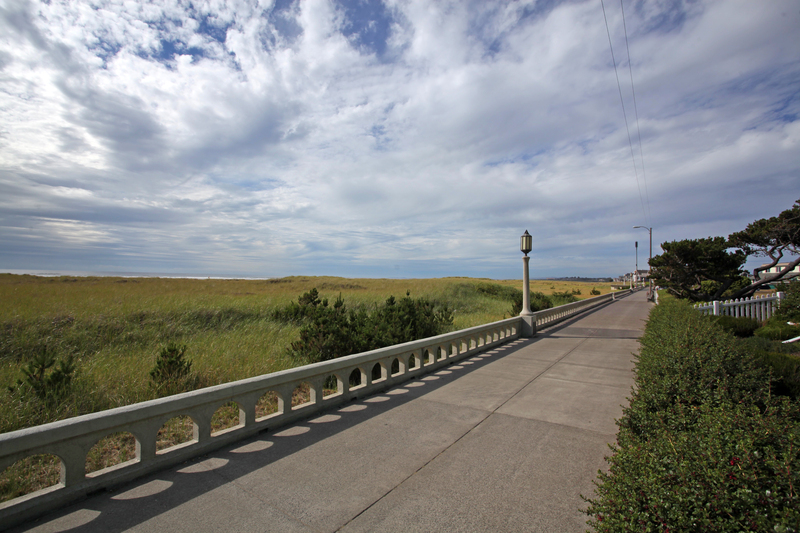 We hope to see you all back again soon on the Oregon coast for another wonderful stay! Thank you again for your review." "Zelda, thank you for your review. We are happy to learn you enjoyed this lovely home that the owner has recently remodeled and taken steps to ensure the guest are comfortable. The home does welcome you from the moment the door is open and the further in you step the more comforting the home becomes. 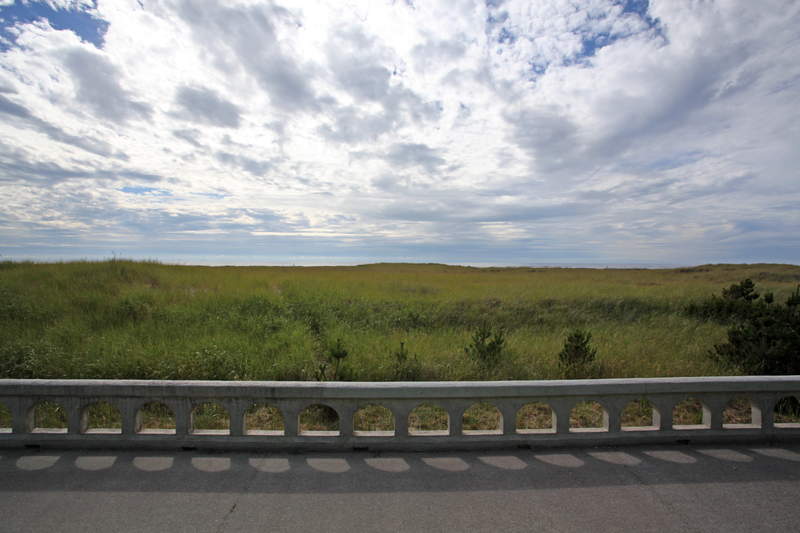 The location is wonderful, beach access so very close as well as all Seaside has to offer in the downtown area. Once again, Zelda thank you and we hope to hear back to assist you in planning your next coastal getaway! " "Hello Lisa, Thank you for your review. We are glad to hear that you and your family loved your stay at Sand Dollar. 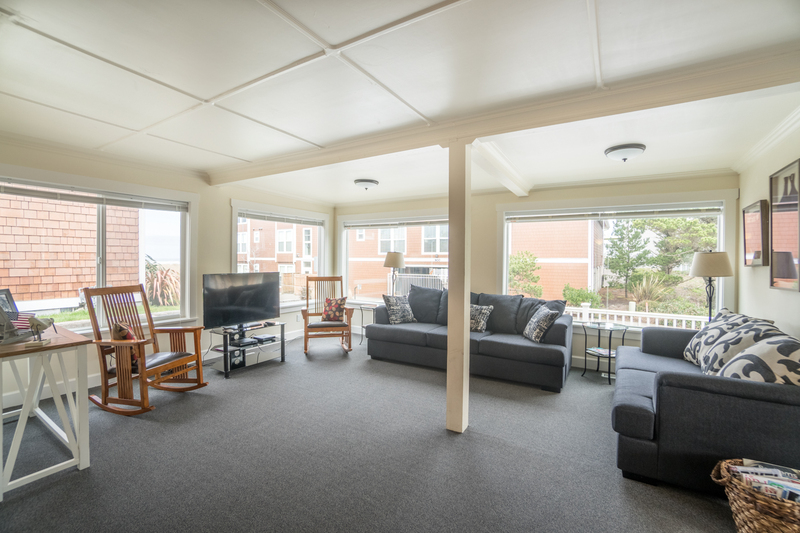 We love that you were able to get the most out of your stay at this home! As for the TP issue, we have currently updated our website to let future guests know that we only provide a starter pack of supplies for each of our stays, so if guests are staying with several people for a long period of time, we now recommend bringing your own or being prepared to buy more during your stay. We are sorry we didn't have this information available last year. We hope that this added information will help prevent any confusion for future guests and stays. We hope to see you and your family back again soon on the Oregon coast. Thank you again for your review!" "Perfect for an extended family long weekend." "Hello Cynthia, Thank you for your review. We are glad to hear that you enjoyed your stay at Sand Dollar. We hope this means that you'll be back again soon for another great stay on the Oregon coast." "Great house, with great amenities, including a well-stocked kitchen, comfortable beds, great decor, and plenty of good towels (more kitchen towels please). Quiet street and nearly on the beach (from the living room and front deck you can see the ocean). We loved our stay!" "Hello April, Thank you for your review. We are glad to see that you enjoyed your stay at Sand Dollar. We are sorry to hear that you did not have enough kitchen towels for your stay. We would have gladly brought more out to you. Please let our office staff if you ever need anything or run into any issues during your stay. We are on call 24/7. Thank you again for your review, and we hope to have you back with us again soon on the Oregon coast." "Hello Debora, Thank you for your review. We are happy to hear that you enjoyed your stay at Sand Dollar. We hope this means that you'll be back again soon for another great stay on the Oregon coast." 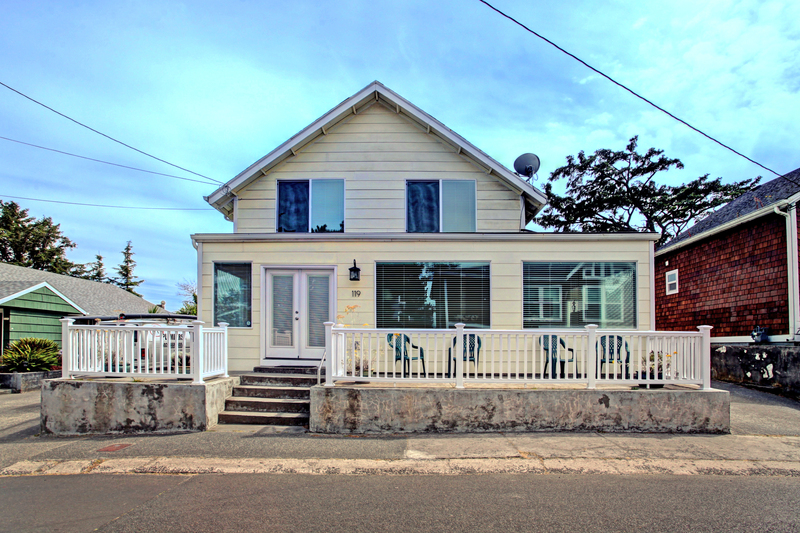 "This was my first time renting a beach house and I am so glad that we did. The house was everything advertised. I have 4 small children and it worked out great for them. We look forward to renting again next year. " "Hello Kristina, Thank you for your review. We are so happy to hear that you enjoyed your stay at Sand Dollar! We look forward to seeing you again in the near future!" "Constance, thank you for taking the time to send in your review. We are quite pleased to know you enjoyed the lovely home, Sand Dollar. 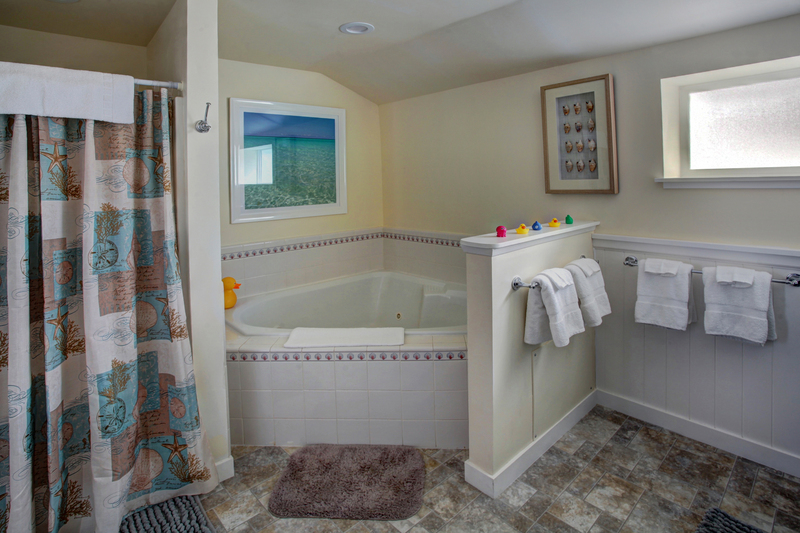 The owner recently remodeled the home paying attention to detail as well as comfort. The home welcomes you the moment you open the door. We hope you made pleasant memories that can be talked about for years to come with both friends and family alike. Once again, Constance thank you and we at Oregon Beach Vacations would enjoy hearing from you to plan your next visit to the beautiful Oregon Coast! " "Hello John, Thank you for your review. We are glad to hear that you enjoyed your stay at Sand Dollar. We are happy that the accommodations at Sand Dollar were good for you and your family. We hope to have you stay with us again soon on the Oregon coast." "It was a great house lots of room we really had a great time and enjoyed the house.I only have a couple of complaints the parking didn't really work for us as we have a wheelchair van so parking where we where suppose to didn't work. When we got to the rental house I didn't have the right code to get the keys and I had to call to get the right code. The bedroom downstairs we couldn't find any outlets we had to go buy an extension cord as my son that's in a wheelchair also uses oxygen at night which requires to be plugged in. So just a couple of things I feel that's needs to be fixed. Like I said we had a great time and the house worked for us and we managed the little hiccups.Thank you...."
"Hello Naomi, Thank you for your review. We are glad to hear that you and your family enjoyed your stay at Sand Dollar. We are happy to know that the home had plenty of room for everyone in your party and that you were able to enjoy the Seaside area. This is a newly renovated, wheelchair friendly home, and it sounds like you were able to get everything in working order for your son's needs. We hope to have you back again soon for another great visit at Sand Dollar!" "The family had a great time"
"Hello Norma, Thank you for your review. We are glad to know you and your family had a fun time at Sand Dollar. We hope to have you back again soon." Lovely time for our whole family! "The location of this house was wonderful. It was comfortable for our family of 9. Enough room for adults and kids (though the listing said there were 2 bunk beds in the kids room and there were only 3 beds, not 4). It was a great amount of space to move around and was clean, except for the floor, which can happen in a beach house. It did seem that maybe a previous tenant had a pet that might have had an accident in the living room. We even received a call shortly after check in to hear if we needed anything. We will be back!" "Hello Dighina, Thank you for your review. We are glad to see that you enjoyed your stay at Sand Dollar. We are sorry to hear that the listing was wrong on the website. We have gone ahead and fixed the description after looking through the photos. Thank you for bringing this to our attention. 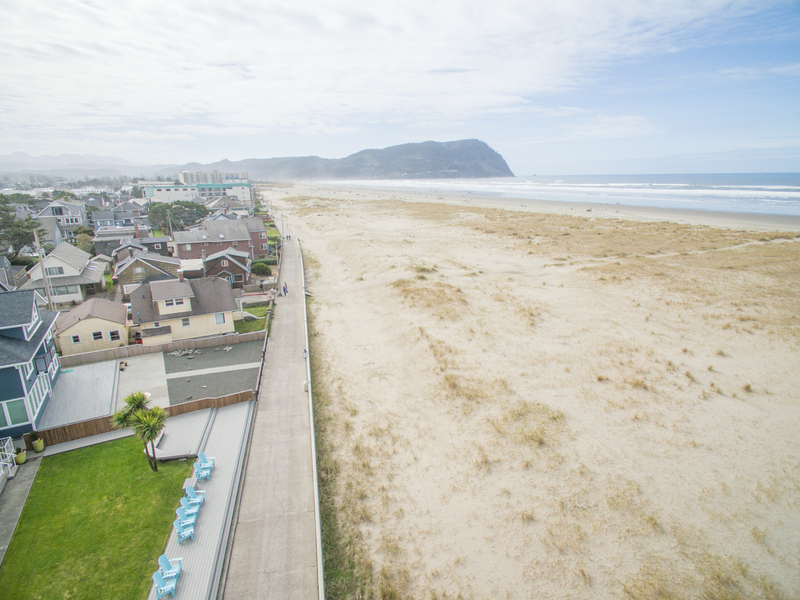 We can't wait to have you back again soon on the Oregon coast. Thank you again for your review." "Hello Kim, Thank you for your review. We are glad to hear that you were able to have fun celebrating your husband's 60th birthday! We hope to see you back again soon on the Oregon coast. Thank you again for your review." "The house was great, lots of room, cute decor, very peaceful neighborhood, great view of the ocean. Very well supplied with what is needed to cook there. It worked out very well for us. The only issues we had were use of the internet and use of Direct TV. Neither of these worked even after talking with representatives from Oregon Beach Vacations in regard to the internet. You may want to check that out because for our use, it was not absolutely critical to have, but for others it may be a big problem! And this is absolutely the only reason that I gave the overall satisfaction with our stay 4 stars instead of 5." "Hello Ruth, Thank you for your review. We are happy to hear that you and your family enjoyed your time at Sand Dollar! We are sorry to hear that the Wi-Fi and Direct TV weren't working for you during your stay. Oftentimes this is an issue that is out of our hands and has something to do with the service providers in the area. We are sorry that we couldn't get this resolved for you during your stay at Sand Dollar. We are glad to hear that it didn't take away from you stay too much. We hope to see you back soon on the Oregon coast. Thank you again for your review." "We enjoyed our stay at Sand Dollar. The home is clean and beautifully decorated. Our only concern was the slopping/ramp entry from the living area to the kitchen as it is dangerous. Even the 30th year olds had near falling experiences. I was very worried about my mother (87 yrs), so I placed a dining room chair in the sloping area to remind us all to hold on and watch our footing. " "Hello Linda, Thank you for your review. We are glad to hear that you enjoyed your stay at Sand Dollar. We are sorry to hear that you were worried about the small slope inside of this home. It is something that we cannot control, unfortunately, as it is just how the house was built. We hope to have you stay with us again in the future. Thank you again for your review." 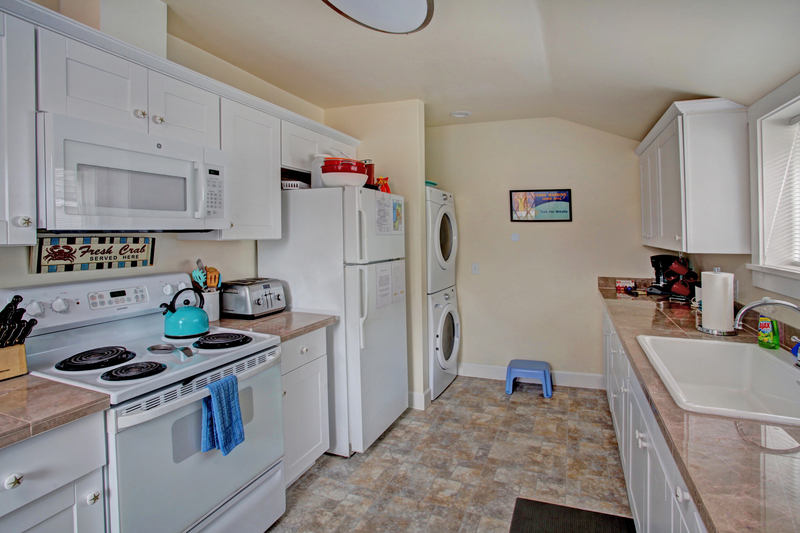 "This rental was very pleasant and clean. I would have liked the tv's in the bedroom to be hooked up to cable. The dining room table was very accommodating. The parking was a challenge with our larger vehicles. " "Hello Stephanie, Thank you for your review. We are happy to hear that you enjoyed your stay at Sand Dollar. We will look into having cable placed into the bedrooms as well, but we are not sure if this is a possibility. Thank you for bringing it to our attention. We hope to see you again soon on the Oregon coast. Thank you again for your review!"